Having been involved in the marine industry around the Australian coast, Crib Point Engineering has built up a reputation second to none for supplying winches, pot haulers, steering equipment, bow thrusters and hydraulic systems. Crib Point Engineering also manufacture a complete range of boat handling equipment for recovery and storage of vessels both commercial and pleasure craft. 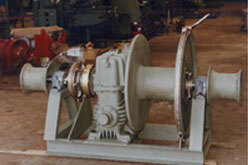 Custom designed and built equipment can be made to suit exact customer requirements and application. 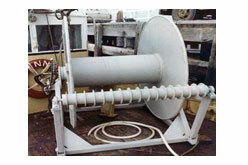 Hydraulic driven combination anchor, line and capstan winch designed and manufactured by Crib Point Engineering. 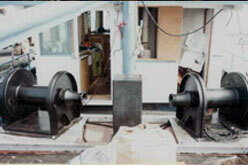 Hydraulic driven fishing net spool designed and manufactured by Crib Point Engineering.